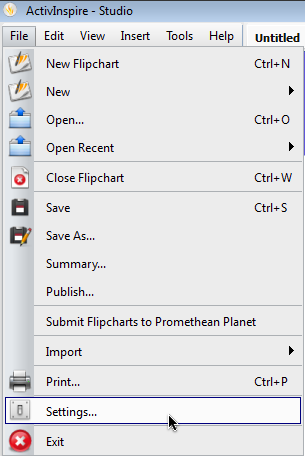 This article will show you how to set the Shared Resources path in ActivInspire so that you have access to all of the resources saved on the S drive. 2. 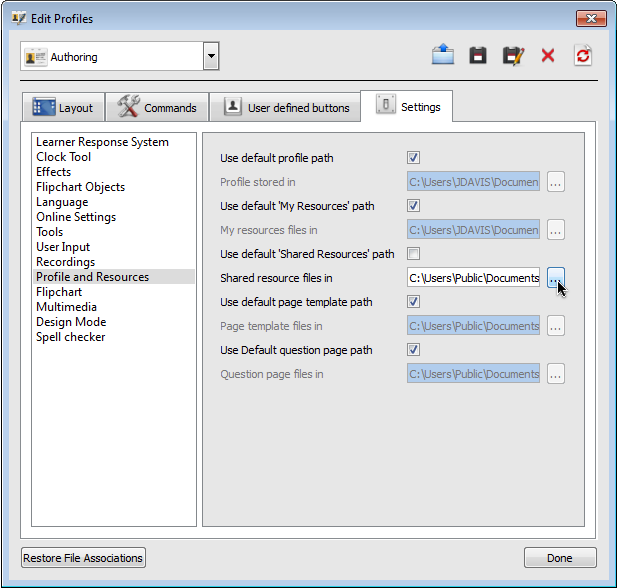 Then choose Profile and Resources and untick Use default ‘Shared Resources’ path. Then click on the … button to navigate to “S:\Staff\ActivInspire Resources“. 3. 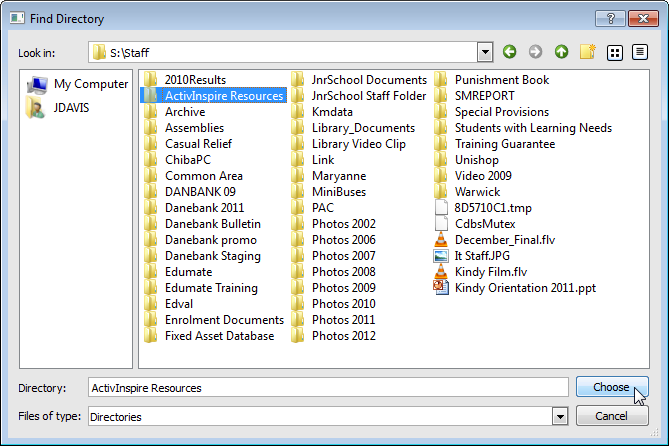 Navigate to “S:\Staff\ActivInspire Resources” and click Choose when the ActivInspire Resources folder is selected.